We have teamed up with a fantastic organisation called Pack for a Purpose in the hope that it will help you, our visitors, help us to give necessary supplies and aid to our local communities in and around Livingstone. We are currently supporting Siandunda Primary School. Initially the Siandunda area and surrounding villages did not have a local school, this meant a walk of some 2hrs through the bush in all weathers for children as young as 5yrs old just to get to a school. Commencing at 6am the children from the area would walk through the bush sometimes even crossing rivers to arrive at Mandia School by 8am. The return journey was sometimes even worse as due to heavy rains during the day the rivers could be too high to cross which would result in the children having to find somewhere to sleep for the night. 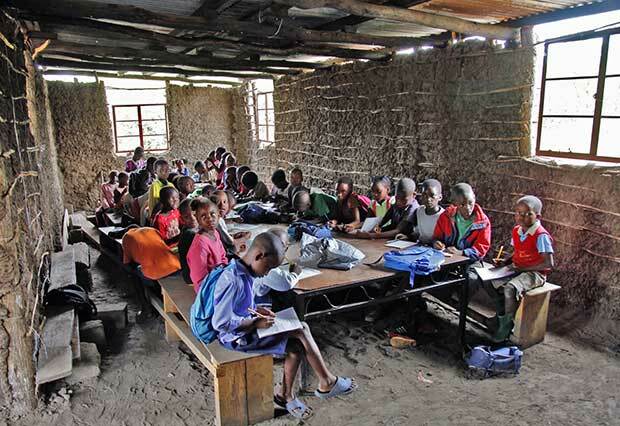 Through our work with Comic Relief and the Hell and High Water Challenge, a school is being built in the Siandunda area but it is far from finished and the kids are being taught in a temporary building. Although these kids no longer have to walk 5kms twice a day to get to school, they still have absolutely nothing and are starting from scratch, the current temporary classrooms are catering for in excess of 75 children twice a day (running in two shifts because of the numbers involved).